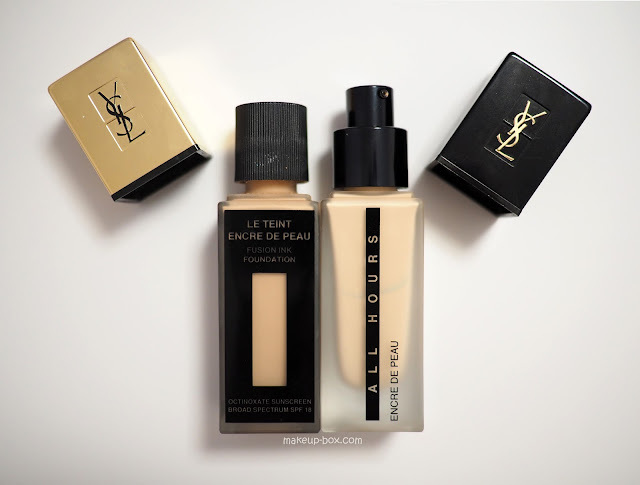 YSL Beauty launched their new All Hours Encre de Peau Foundation (S$98) as well as the companion concealer earlier this month to a flurry of excitement in the beauty community. This is touted as being long-wear, high coverage, weightless, luminous matte, and skin-tone/texture perfecting. Sounds like a dream. I have to preface this by saying that when they launched the original Le Teint Encre de Peau around 2015, I rushed to snap up a bottle in Sephora while on holiday in the US. And I didn't like it. I just didn't. 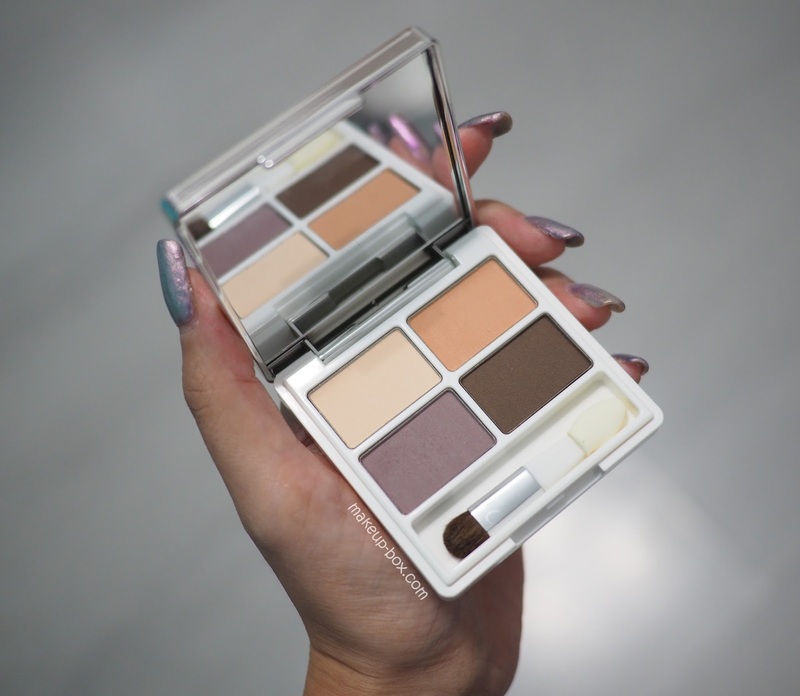 By the time it launched here in Asia and the beauty community started buzzing about it I was already over it. I find volatile-oil foundations to be very hit and miss. They feel incredibly good to the touch because of that ultra-slippery dry-oil silicone feel, and blend out like a dream. Perfect for impulse shoppers. But more often than not, whether they work on your skin depends very much on whether the specific blend of silicones and volatile oils plays nice with your skin type and skincare products. If not, they look good for awhile and then "suddenly" seem to break down after a few hours, even on non-oily skins. 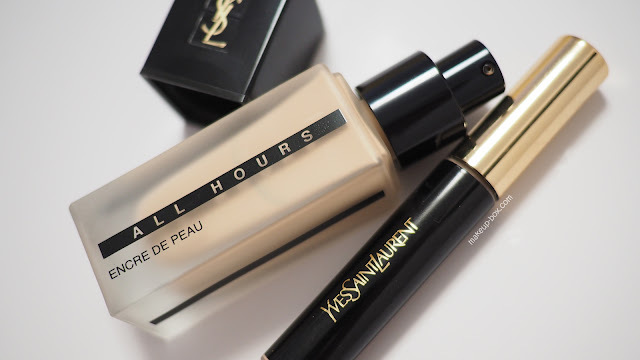 The new All Hours Encre de Peau, happily, is NOT one of those slippery dry-oil foundation formulas. Because of that, they could also (thank god) put it in a hygienic pump bottle. It's the middle of the work week, and many of us are probably feeling a little sleep-deprived. 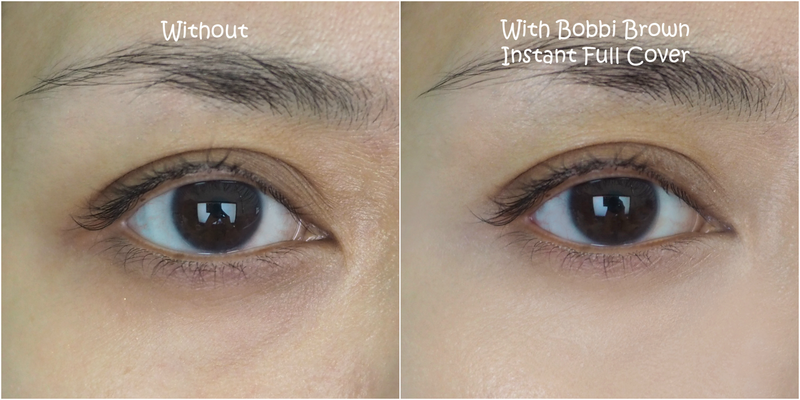 Cue Bobbi Brown's new Instant Full Cover Concealer (S$52), which they describe as "8 hours of sleep in a swipe". For night owls like me who can never bear to go to bed early, this sounds like a god-send. 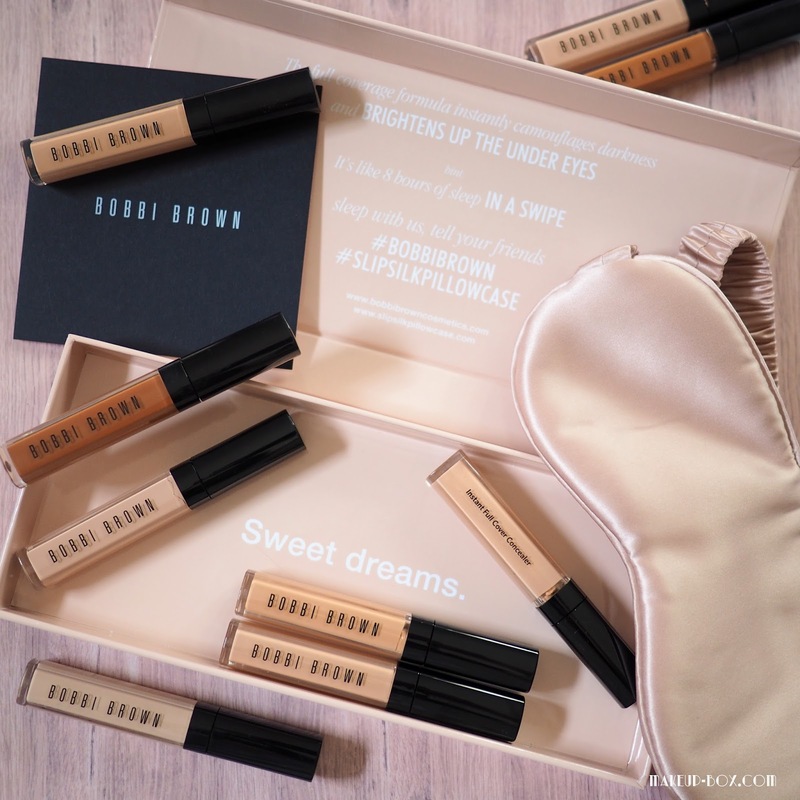 When I saw the tubes my first thought was - this is Bobbi Brown's answer to the NARS Radiant Creamy Concealer. But the textures are pretty different. 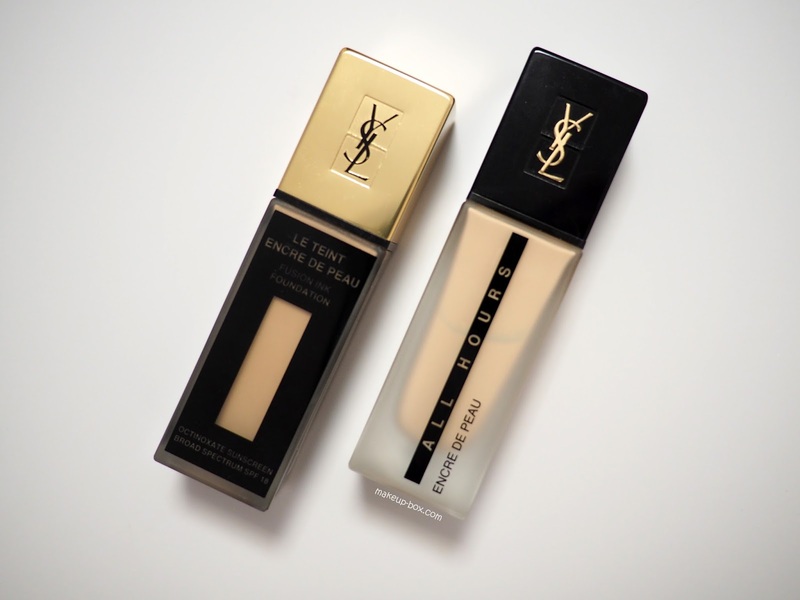 Radiant Creamy Concealer is a bit more mousse-y and has a demi-matte finish. 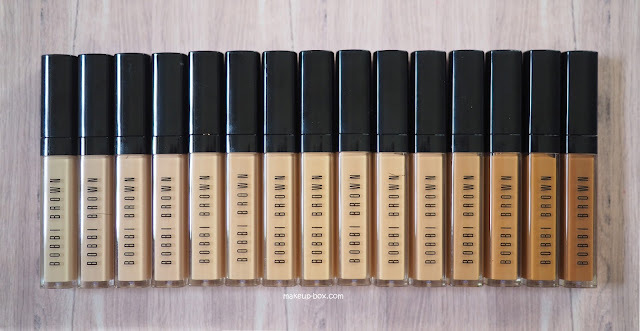 Instant Full Cover Concealer has a certain tackiness to it (not in a bad way) which reminds me more of It Cosmetics Bye Bye Undereye Concealer or Tarte's Maracuja Creaseless Concealer. It has a lot of coverage but sort of melts into the skin, leaving a film of pigment on the surface as you blend; not much texture on the surface. Wayne Goss mentioned recently on Youtube that this requires no setting powder, and I think this texture is the reason why. In my limited experience (I've worn it off and on about 4 times in the past week) this will still crease a little and settle into expression lines still, but that's quite minimal. The coverage goes on full but sheers out as you blend. I personally prefer using my fingers as the heat allows the product to better meld into skin. The thicker texture also means you may need a bit more time to pat it in with a brush or sponge, although you obviously still can. Try Bobbi Brown's Full Coverage Touch Up Brush. 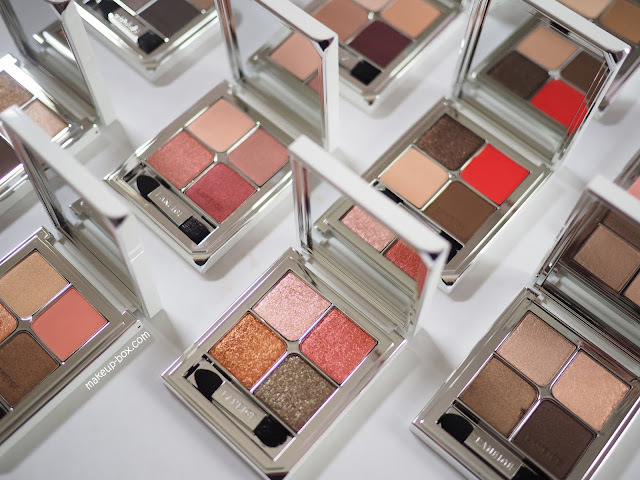 LANEIGE updated their eyeshadow collection this month, and relaunched 10 quads in mostly new color combinations, repackaged in sleeker silver-lined cases. These are all currently available at LANEIGE counters and boutiques, as well as Lazada.sg and Zalora.sg. 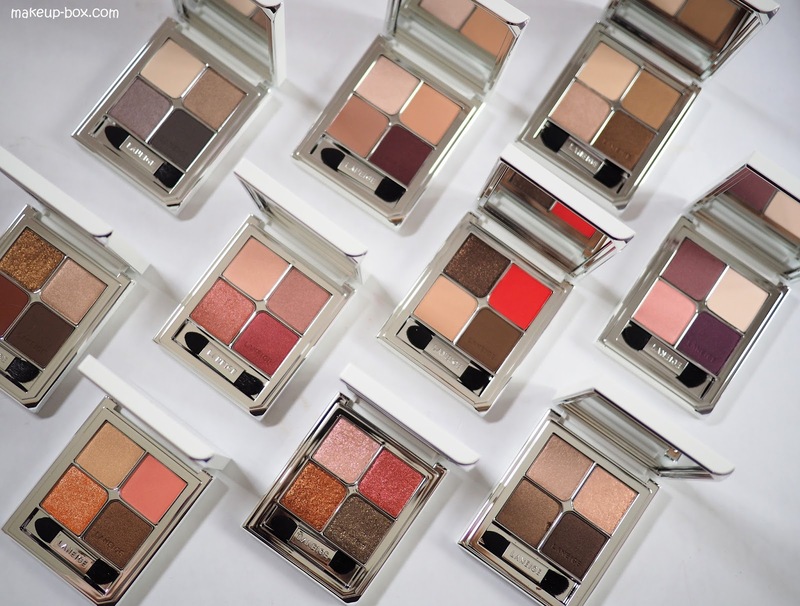 The older compacts are smaller, and it looks like there is more product in the new quads, but they actually contain the same amount. I'm not complaining though; they've been quite good about keeping the price stable instead of taking the chance to jack the price up with this revamp. The new quads DO look a lot nicer compared to the older ones which have a tendency to look a little "cheaper", not as grown-up, and a bit outdated. The first lip color I can remember obsessing over as a child (yes - I started young) was a deep dark vampy noir red. Not pink, not peach, not red. I even recall the excitement I felt when I realized for the first time that it was POSSIBLE to even wear a color that dark on the lips. It looked gorgeous. I was in love. 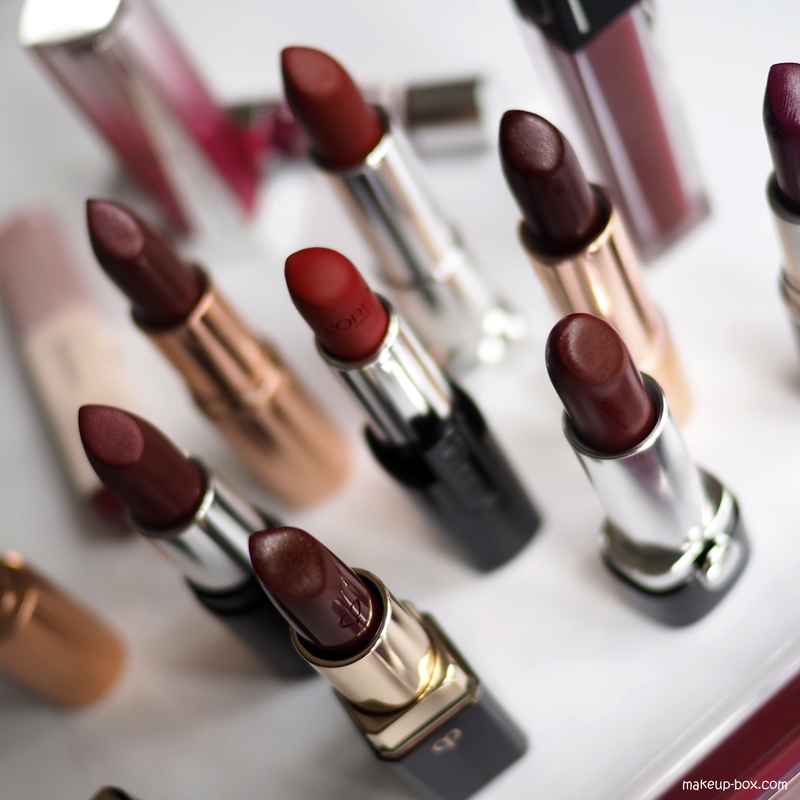 As an adult, I've built quite a collection of deep dark lip shades over the years, but let's face it - for most of us, these gorgeous blood colored shades don't get a lot of air time because they are so dramatic. Until you learn how versatile they are of course. One of my favorite things to do on days when I don't want to spend too much time on my makeup is to take one of these vampy reds and wear it as a translucent matte wash over the lips, over a neutral lip pencil. The final effect is polished but not harsh, relaxed but still dressy. The edge of the mouth is not meant to be harsh and precise so I prefer fingers over brushes. 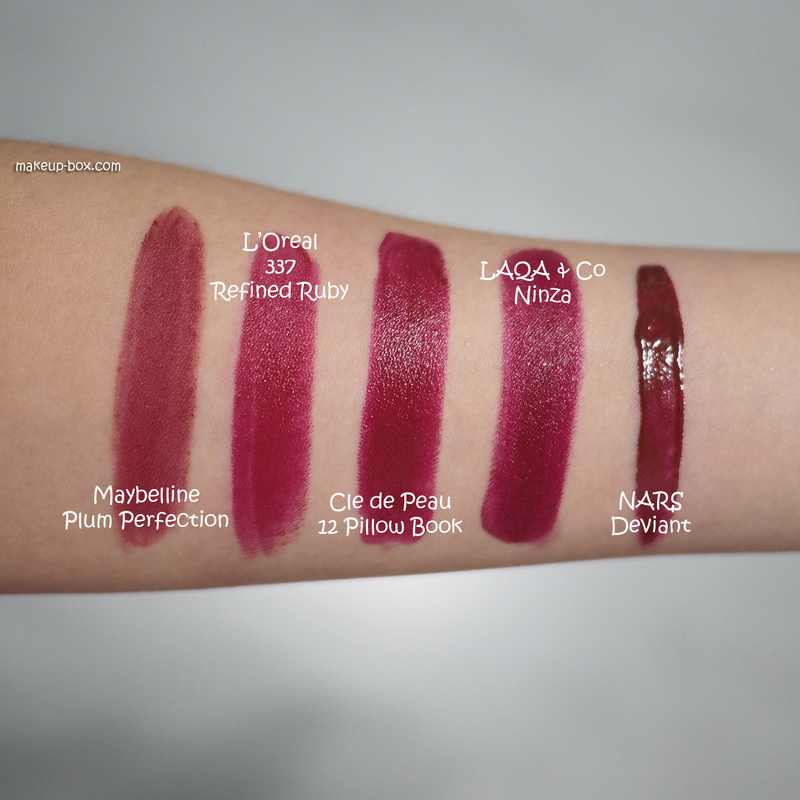 Also, this is a great way to make your dark lipsticks go further, both in terms of being able to use them for more occasions, and also from the perspective that you really need very little product each time. Not every dark red works the same way though. The trick is to look for the ones that sheer out to a cool berry-ish rosy red. There are some that sheer out into a brown or purple tone that can look dull and dirty against the face. For an example, below are a few good options that are currently in my rotation, although I will also mention a few other old faves.